A few years ago, I took part in some fun tea parties around blogland. Each day was a different tea with theme of your choice.I invite you to visit back upon one of my tea parties enjoyed on a gloomy Texas day. With Fall days on the way, this tea just inspires me for cooler days to follow. Hopefully soon!! Greetings and welcome back today for A tuscan tea. This afternoon is a dark raining day here in the lone star state and perfect for a cozy Tuscan tea served in my Tuscany Style dining room. The table today is set with a tea set from Italy given to me by my grandmother when I first got married. 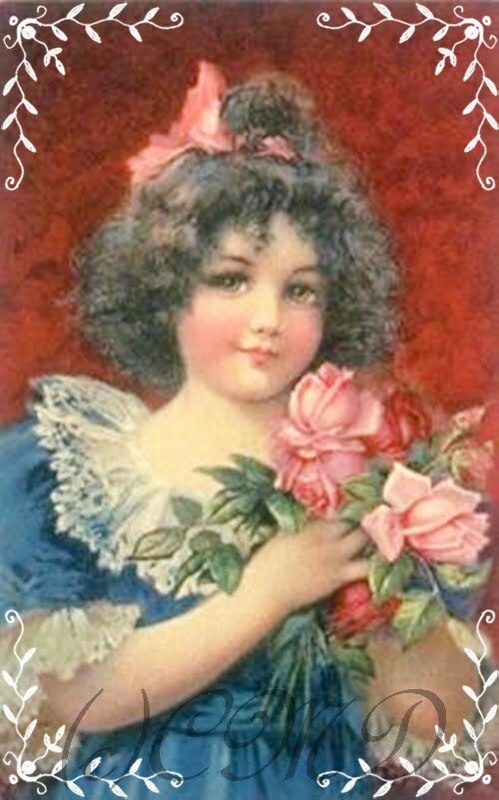 I always admired it's shining beauty displayed in her china hutch when I was a little girl. Can you imagine how thrilled I was when she presented it to me. Made with 14k gold etching, and very delicate in nature. This set has eight demi cups and saucers. I have also included another tea set from 1945 that was also given to me by my mother and is another great treasure with it's hand painted wild roses. Today's menu is Cream cheese and spinach finger sandwiches, mini quiche Lorraine and Florentine tarts with Raspberry lattice cookies. Our tea assortment is orange tangerine, black cherry and royal raspberry. The plates on the table are a English rose pattern in shades of antique rusts, sage, dark pink on a antique ivory background. The napkins are held with sugared clusters of Tuscan grapes. I have added the comforts of my big cozy stuffed pillows that detailed large cabbage roses in rustic colors that tie in with the Tuscan theme of tea today. To entertain us, I have placed two brass violinists on the table along with a sweet ceramic rooster for a bit of whimsy. I have background music filling the air of Italian classics. Thank you for joining me for a tea party from the past. It was so special to have you and I hope wherever you are your day is perfect and includes a cup of tea. Here we are, back to another Make Mine Pink Friday Shopping with a twist. This weeks theme is Birds of a Feather. Visit HERE to my MMP boutique to view a few treasures I have to offer in this weeks shopping fun. While there, you can visit the other many shoppes too, participating today. One special item I have included is a beautiful vintage LANE box, used many years ago as a salesman sample for cedar chests. It has no scent, but simple a small version of the chests used so many years ago. This was given to me by our dear Marydon from Blushing Rose Too,to create with. It was so much fun painting a beautiful Wren to compliment our theme for today. Pink roses finish this design for a little keepsake box that might make a great gift. With Christmas decorating and shopping just around the bend, I also brought back one of my wooden mittens, hand cut and painted with a little chickadee on one side and rose on the back. These are just a couple treasures offered today in my MMP boutique, and as you might imagine, my studio is a busy place right now and I love every minute. We had rain too, and you know I love to be in the studio designing when it is raining. Temps are a bit cooler too, and oh boy, time to be energized and creative!! Next week, I have another finished project to share that I told you about this past Spring. Remember the vintage hutch I painted creamy ivory and distressed? Remember it had a top mirror that I have wanted to add stain glass to? Well, I got it finished and happy with the details. I hope to take a few pics when the light is right. Thank you for stopping by today. It is always special to have you visit. Have a wonderful Friday and great weekend. 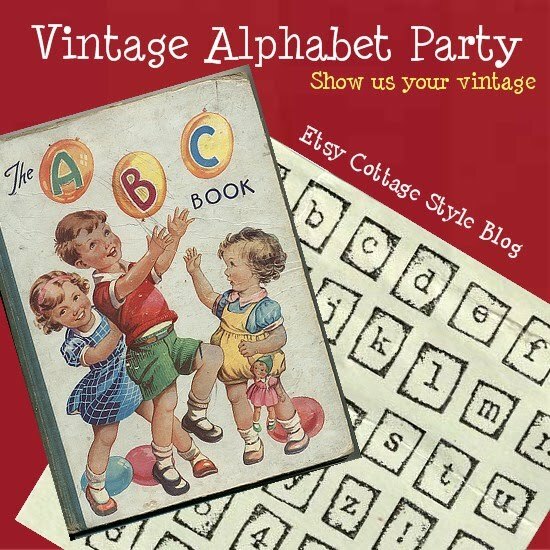 Welcome to this weeks Vintage Alphabet Party from Etsy Cottage Style, bringing you the letters N and O. Take a moment and visit the participants to see the many vintage treasures in this catagory today and all week long. Now this was a bit of a challenge, but I did find a few treasures among my vintage. The first necklace is a black onyx and marcasite necklace from 1930. It was given to me by my mother in law and belonged to Mr. B Guy's grandmother. It is just the most beautiful vintage piece. This next one is from the 40's and was my mother's. It is sterling silver chain link with clear rhinestones. It is a stunning piece with lots of bling. I do not wear these necklaces, but do display them on a wire dress form with a vintage neck scarf. The next two Neck Scarfs are from and made in Italy. They are gorgeous silk fabrics with pics of historical buildings around the Vatican. These were gifts from a dear best friend of my grandmothers in the 50's. I use them to decorate and display under table centerpieces. The colors are gorgeous. Moving on to the letter O was another challenge, so I thought since I presented jewelry for the letter N, I would share my O and show you a vintage opal ring. Not sure when this ring dates too, but my dear Best Guy found it for me in 1975. It was a 2nd anniversary gift. The fire in the opal is so much prettier in person. It is not my birthstone, but a pretty collector piece. I still wear it today and also use it for a scarf ring. Lastly for my O's I have to share my favorite treasure which is my Oak kitchen table from the late 1800's. Still sturdy and strong like the great Oak it originates from, I cherish this set dearly. The top has long been painted with my vintage fruit design to complete my tuscan villa style kitchen. The bottom is a pedestal style and has gorgeous details in the wood. Thank you for stopping by today. Remember to visit ECS to enjoy other vintage treasures presented all week long. 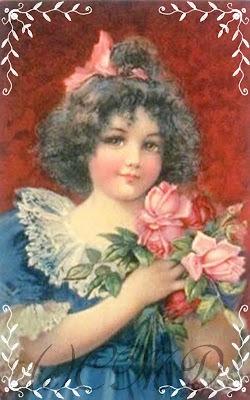 Till next time, I will leave you with a pretty bouquet from my garden of hydrangeas and roses in a sweet vintage vase. Have a wonderful August day, and always, blessing be yours! MAKE MINE PINK FRIDAY, shopping with a twist, celebrates the theme "working around the house. "Join in the fun to view my organizing helpers for the home in my Little Pink Boutique HERE along with many other wonderful shoppes and their offered treasures. lace, trims and vintage pretties just waiting to accent something special. I can't wait to share the seasons new goodies with you. And, from the heart, I want to thank you for the encouragement you give all along my journey. Your inspiration and words give me the boost to keep going, even when the hours get long, the days seem to go on forever, and the creative muse in me becomes overwhelmed at times. You are always there to lift my spirits and I appreciate you more then I can say. 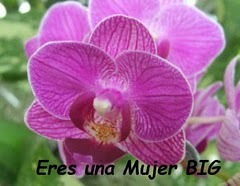 Love to you my bloggy friends. p.s. the music Irish Blessings for this post, is from a special e-card sent to me from my dear friend Carolyn of Draffin Bears. Carolyn is a very talented bear artist and writes a beautiful blog. Visit her when you have a moment. Thank you Carolyn! Embellished Pillow Fun,Painting,Thank You's and Get Well Wishes too! Greetings bloggy friends. This week finds me still catching up since vacation, and little by little, I am moving forward. After some time sick after vacation, I am on the mend and busier then ever. Thank you for the well wishes dear friends. My studio is buzzing with painting fun and creating with lots of new treasures nearly ready to fill the shelves of my shoppes. Here are just a few new goodies for my shabby and chic collector friends to browse. The first is a vintage santa box with berries and roses. His beard glitters with fairy dust. The colors of this is so yummy, coordinating, a soft tan, pinks and greens with a touch of berry pink. And, with something always being created in my lap. I had fun while recouping and accenting some old pillows for my cottage. What a difference a few embellishments can make to update and give new life to a pillow favorite. The first, is made from a darling dress collar my sweet friend Marydon from Blushing Rose sent me to create with. I also collect vintage buttons and this one is from a coat of my mothers in the 40's. Thank you sweet friend, I am having fun with the treasures you sent. 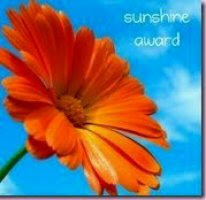 Lastly but not least, I want to thank my friend Sandi from Bearly Sane for this sweet blog badge. I love this gift from you, and even though I have been an award free blog for some time, I am so honored that you thought of me and sent me this. Visiting you is always a joy and inspiring. Take a minute to visit my friend Sandi. She is a very talented designer of bears. I also pass on this badge to anyone who would like to display it on their blog. And, another sweet friend Lore, sent me this sweet badge too. Thank you Lore for this as well. You are so kind and I have so enjoyed meeting you and visiting your pretty blog. Take a moment and visit Lore too. She is very talented. The badge is about being a big women. Not in size, but in heart and character. Lore is all these as well and thank you Lore for thinking of me. I pass this on to my blog friends if you'd like to display it. I also want to send GET WELL wishes to my dear friend Julie Marie from Idyllhours. She is recouping from kidney stone surgery last week. Best wishes Julie and continued prayers for your full recovery. Stop by Julie's nature inspired blog for a relaxing visit and inspiration. Well, I am off to celebrate the birthday of a dear friend with lunch. Surely the best medicine for anyone. Thank you for stopping by and I look forward to getting around to visits soon. Have a beautiful August day. Hello Friends, I have missed you last week as I took a much needed vacation with My Best Guy. It was a beautiful and relaxing week, although the very high temps hung on each day. Being by the water was a bit cooler and thankfully, the cottage was air conditioned. We stayed in a sweet little cottage cabin style getaway with the water near by and wildlife stopping by for a visit each day. Mornings and evenings we enjoyed time on the water, long walks, fishing and just relaxing. Sitting on the porch and watching the day was so restful. During the week I also took some time for Summer fest and antiquing. You know I would have to go shopping, right? It was like we had the town all to ourselves as the hot temps kept most people inside. I have to applaud the Summer fest artists as they braved the heat with their gorgeous treasures. I brought back some treasures for redesign and can't wait to start on those soon. We also celebrated our son's August birthday, when we returned home, over the weekend and our anniversary to follow later this week. Now, it is back to reality and back in the studio, where, you know, I love to be. One week without creating sends me into artistic withdrawal. So today, I am happy to be back in my element. Here are some pics from our vacation week. Just look at this huge part of a grapevine. Found by an artist in 2000, it remains on display in the City Hall. My B~Guy always brings me flowers. He gave me this pretty rose and mum arrangement for the table in the cottage, and as a little early anniversary gift. Thank you for visiting today and also for stopping by the past post revisited while I was away. I look forward to seeing you soon and visits to my friends in blogland. I know I have missed much and will enjoy catching up with you. In the meantime, I will be finishing many new treasures on the way to my shoppes and enjoying my studio time to the fullest. Have a beautiful Summer day and blessings to you.